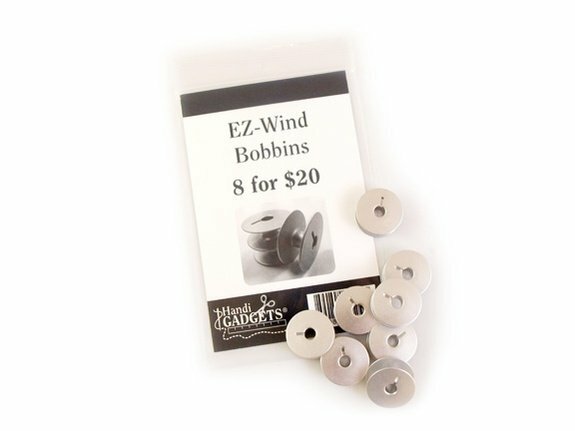 Lightweight, large-capacity M-class slotted aluminum bobbins. Recommend each owner have at least 10 bobbins on hand. M-class bobbins can vary in weight, thickness and diameter. For best results, always use HQ-recommended bobbins. Comes in a package of 8 / Wholesale min. order 12 pkg. Dimensions: 6 x 4 x .5 in.